WSU Linguistics alumna receives prestigious LSA (Linguistics Society of America) Award! Linguistics is devoted to the scientific study of language structure and use. 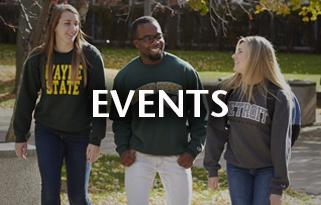 The Linguistics Program at Wayne State, founded in 1972, offers an interdisciplinary approach to the field, allowing students to explore a wide range of topics and issues in language research. Click here for a fuller description.